The print issue of LEA Volume 19 Issue 4 Without Sin is available on Amazon. What is the relationship between contemporary digital media and contemporary society? Is it possible to affirm that digital media are without sin and exist purely in a complex socio-political and economic context within which the users bring with them their ethical and cultural complexities? 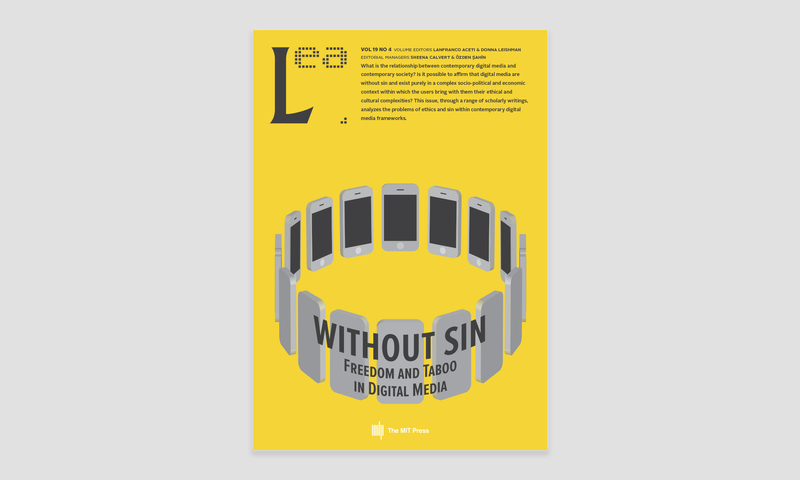 This issue, through a range of scholarly writings, analyzes the problems of ethics and sin within contemporary digital media frameworks. Do We Need Morality Anymore?